Since 2005 Pacific Floral has sourced the most exotic and freshly cut flowers from around the world. 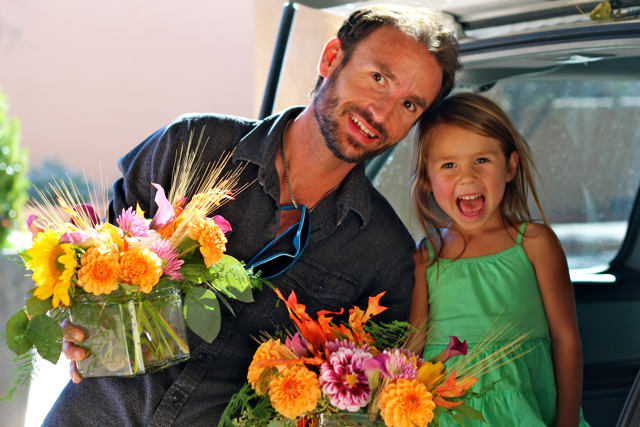 Pesticide free and fair trade flowers are important and we strive to purchase only the best available. We specialize in making a lasting impression with our many styles, and our ability to meet our clients specific needs. Pacific Floral Design offers arrangements that are a stunning mix of vibrant colors and architectural splendor. They are the perfect addition to any business, event or home, and can be hand delivered or shipped to your door weekly, at an amazing value. Born in Santa Fe to become an inspired world explorer, Devan Barron was enchanted by the unique beauty of the Hawaiian Islands. Devan felt inspired to find a way to share this experience with Santa Fe and the mainland. Influenced in traditional, contemporary, and Ikebana floral arrangement, Pacific Floral Design combines a variety of expertise that translates into exquisite one of a kind floral arrangements suitable for any occasion. Place your order online or feel free to call (505) 577-5248 for personal and timely service. Call us at (505) 577-5248 or fill out the form and we will contact you.